The NYC Green Transportation project has developed several solutions for the market segments that make up the transportation needs of New York City. Each holding its own set of licenses, NuRide Transportation Group manages and supports the operations and growth of these fleets, maintaining the echelon of service for which they’re known. NuRide maintains a strong presence in the corporate transportation market with SLS Corporate Black Car; one of its premier fleets. 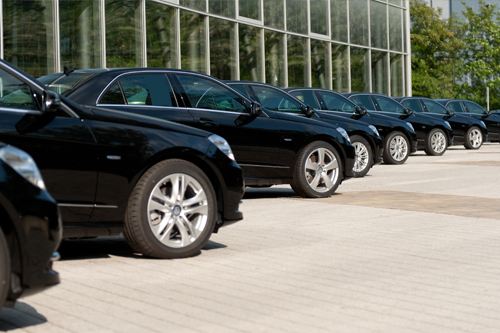 These fleets target the needs of the corporate sector by providing high-end, black car vehicles, which are essential to the infrastructure of New York City as clients often depend timely pickups at prearranged locations. These vehicles offer a higher level of luxury and privacy than others, offering features valued by corporate clients who are willing to pay a higher cost for them. There is a growing demand for energy-efﬁcient, environmentally sustainable transportation alternatives that address the need for air quality preservation in New York. 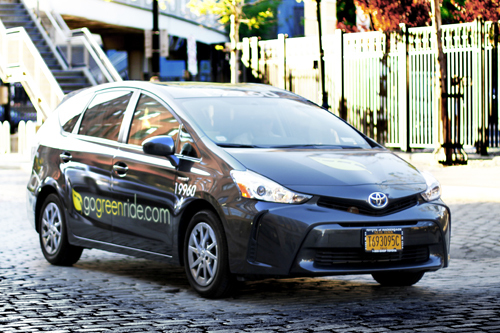 GoGreenRide’s fleet – featuring the Prius V - is comprised of carbon-neutral hybrid vehicles that provide clients with free WiFi, in-car tablets, and charging stations. Not only are these vehicles green - they provide the sort of amenities that make passengers feel at home. This ﬂeet targets corporate clients and individuals based on a membership model, of which there are currently more than 20,000 members. Those include corporations like Facebook, Goldman Sachs, Marc Jacobs, Michael Kors, and over 85 hotels. The community car market is continuing to expand in NYC, and NuRide is expanding with it. Our community car division, LaPuma, has continued to grow and progress so that passengers who rely on our service continue to get a premium experience in all five boroughs. Our community car service operates 24/7 throughout Manhattan, Brooklyn, Queens, the Bronx, and Staten Island, and provide transportation to all major airports therein. 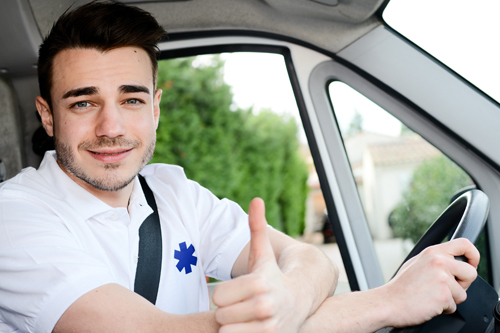 NuRide has developed multiple divisions to provide Non-Emergency Medical Transportation (NEMT) for those who need transportation to medical appointments, surgeries, rehabilitation, and other events which they're otherwise unable to attend. This service is paid for by insurance providers and the brokers who work with them, which helps to ensure that certain regulations are met, while providing a premium market that's still growing. NEMT requires dependable and prompt service, and NuRide's fleets work tirelessly to offer the level of reliability that keeps us at the front of the pack. We have a plethora of vehicles to accommodate any passenger's needs, and a team of dedicated professionals at the helm of each trip. 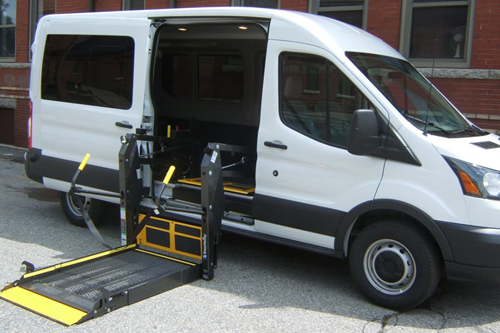 Paratransit is a unique service that requires training and knowledge of the customer base and their needs, while complying with the Americans with Disabilities Act (ADA). NuRide has acquired DOH and paratransit licenses so that it may provide exemplary service to those who use wheelchairs, canes, walkers, life support systems, or who have any form of disability that precludes them from standard transportation options. Our accessible vehicle dispatch is available 24 hours a day, seven days a week, driven by employees trained in the requirements of the disability community. Each of our vehicles is equipped with GPS vehicle location equipment and is viewable by our call center dispatchers at all times. NuRide works with FHV drivers to help ensure their needs are met and provides the tools necessary for success. GetCars, our FHV division, sends out about 200 vehicles to its partners on a daily basis, which are always ready for use with providers like Uber, Lyft, and more. In holding contracts with Uber, Lyft, and Gett, Get Cars services the overflow of demand within the reservation and real-time transportation industries. NuRide believes that technology must always be a driving force behind the progress of the transportation industry. That’s why the IRIS platform oversees all in-house assets with real-time analyses of the performance of drivers and vehicles, measures cost per customer, per trip, and the cost of in-house vehicles and drivers per hour. In addition to its ﬂeet management functions, IRIS provides administrative capabilities, allowing companies to handle payroll, HR, and accounting functions through a single, integrated platform. With its single-platform, end-to-end, real- time management capabilities, IRIS is the ﬁrst software system to provide an elegant and practical approach to all the operational, administrative and compliance needs of ground transportation enterprises. On the front-end, IRIS offers a real-time mobile solution for customer reservations, accounts receivable, and related data, as well as comprehensive customer support services. 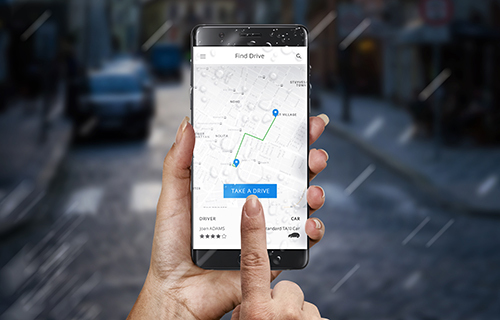 In the back-end, IRIS allows monitoring of every aspect of every vehicle under its umbrella, which means the company can track how each driver is performing, the productivity of each region, which regions have a high demand for jobs, where more coverage is needed, and which clients require regular vehicle services. 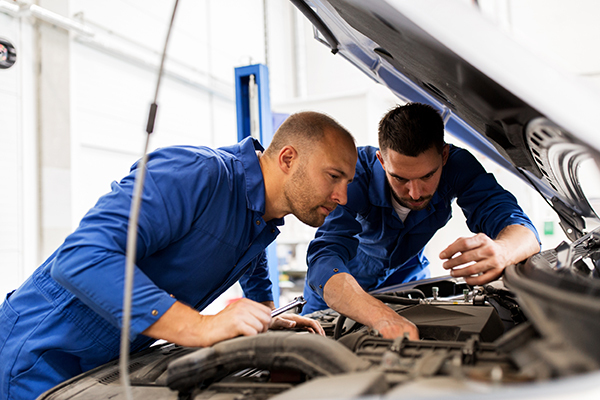 NuRide has several fleet management facilities throughout New York City that provide preventive maintenance and repair to our vehicles, as well as for-hire vehicles for ourselves and our affiliates. Considerable investments have been made in the systems utilized for connecting the facility with our head oﬃce, as well as the facilities of other operations to provide real time data on our vehicles. NuRide takes safety and upkeep seriously, and the facilities, tools, and workers we employ hold that same level of responsibility and integrity.